To assist with planning your visit to Heron Island Resort, you’ll find answers to our FAQs below. If you require further information or assistance, please contact the hotel at 1 800 875 343 (Australia toll-free) or 1 (855) 251 8261 (outside Australia toll-free) and a member of our staff will be happy to help you. What are the hotel reception opening hours? Monday to Sunday 7:00 am – 10:00 pm. A night manager is on duty after hours. Yes. A complimentary buffet breakfast at Shearwater Restaurant is included in the room rate. Internet is offered in Baillie’s Bar, the Pandanus Lounge, Reception and Shearwater Restaurant. Yes. The shuttle cost is included in the boat transfer from the Gladstone Marina to Heron Island. Call the reservation team on 1800 875 343 or email [email protected]. Guests arriving by air can book an Airport-to-Marina bus transfer at the time of making their reservation. The bus transfer departs 8:30 am in front of the Airport Arrivals area. Do you have an on-site pool? Yes. There is an outdoor pool at the hotel. Parking is available at the Gladstone Marina for $12 AUD per day for a covered car park, or $10 AUD per day for an uncovered spot. We strongly recommend you pre-book secure car lock-up facilities located at 613 Bryan Jordan Drive by calling Compleat Angler on 07 4972 7283. Do you offer an on-site guest laundry facility? Vivamus euismod, quam ac consectetur efficitur, odio lectus gravida tellus, vel pretium sapien dolor sit amet leo. Donec ex lorem, porttitor et augue at, viverra congue elit. Do you have a sundries shop? You’ll find a wide range of locally made and inspired gifts and souvenirs in the Heron Island Shop. There’s a selection of books for adults and children as well as a cuddly collection of toy octopuses, turtles, and rays. You can buy commonly required toiletries and pharmaceuticals such as sunscreen, Panadol, and remedies for seasickness. Your beauty needs are taken care of too, thanks to Ecoya’s North Queensland rainforest products. You can also pop in here to get a cold drink or an ice cream, and if your wardrobe is a bit empty, an entirely new island-inspired look. Beach essentials such as sunglasses and swimwear are also sold. There are no other shops on the island. What is the EMC Charge?  Upon arriving to Heron Island, an Environmental Management Charge (EMC) will be applied for the first three nights of your stay in accordance with the number of guests in the room. 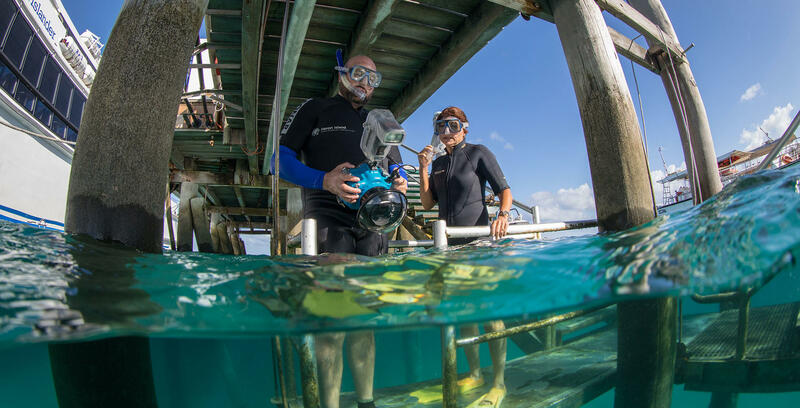 The funds received from the EMC are vitally important in the day-to-day management of the Great Barrier Reef Marine Park and in improving its long-term resilience. All funds received as EMC payments are applied directly to Queensland Parks and Wildlife Service (QPWS). Do rooms have cooking facilities? Rooms are equipped with coffee and tea-making facilities, but they do not have cooking facilities. Due to licensing regulations you cannot bring your own alcohol. Baillie's Bar is a fun, friendly and pleasant lounge to enjoy a drink. There's also an extensive wine list and range of beers available at Shearwater Restaurant. Pack casual clothing for your time on Heron Island. Due to health and safety regulations, shirts and footwear must be worn in the restaurant and bar. What time do I need to arrive to catch the seaplane? Arrive at the airport at least 30 minutes prior to departure to allow for check-in procedures. What is the wheelchair accessibility like around the island? The rooms and main amenities such as the restaurant and bar/pool area are accessible by wheelchair. A buggy can be arranged to transport guests to and from the jetty for the launch transfer. Please inform us of buggy needs during the reservation process. What are my options for after-hours communication with the mainland? Phone cards are available from reception and there is a public phone near reception. The after-hours telephone number (07) 4972 9055 will reach the island and reception will advise you. What time do I need to arrive at Gladstone Marina to catch the launch? A courtesy bus departs Gladstone Airport at 8.30am to reach the marina in time for departure. If you're making your own way to the marina, check-in begins at 8.30am. Heron Island offers guests a rare chance to have 'screen-free' time. There are no televisions in the resort's rooms. However, Baillie's Bar has a television on which you can watch sporting events and general programming. The Wistari, Point Suites, Beach House and Superior Point Suite have air-conditioning. All rooms have overhead fans. When do the turtles come onto Heron Island to lay and hatch? Turtles come to Heron Island to lay their eggs from November to March. Turtle hatchlings can be seen making their way to the water from January to early June. Can I snorkel right off Heron Island? Some of the best snorkelling is directly off Heron Island. You don't need to catch a boat to reach it. Always check with the experts at the Marine Centre for the best places to snorkel around the island. Good recommendations include from the Gantry to the Harbour, as well as Shark Bay. Can I hire snorkel gear? A snorkel, mask and flippers are included in your room rate. A wet suit can be hired from the Marine Centre if required. What sizes of wetsuit are available? What are the most popular dive sites? The Heron Bommie, Blue Pool s, Coral Canyons and Gorgonia Hole are the most popular but there are many more dive sites nearby to explore. Can divers and snorkelers go out on the same boat? Yes, divers and snorkelers can go out on the same boat. However, if it is busy, we will run separate dive and snorkel boats. Do I need to take my own beach towel/sunscreen/insect repellent? Beach and swimming pool towels are located in the guest rooms. It's advisable to bring your own sunscreen and insect repellent, though it can be purchased at the Heron Island Boutique, if necessary. The chemicals used in some sunscreens can be very harmful to the coral and the ecosystem at the Great Barrier Reef. Please ensure the sunscreen you intend to use is safe for use on the reef. Stingers are generally not an issue in the waters around Heron Island. The water temperature ranges from 18 degrees Celsius in winter (July/August) to 29 degrees Celsius in summer. Can I use my mobile phone on Heron Island? There is no mobile phone coverage on the island. However, there are two card-only payphones and reception sells phone cards. What is the luggage limit for the seaplane transfers? Each passenger can take 15 kilos of luggage onto the seaplane. Scuba divers do not need to bring their own weights. The Marine Centre supplies them for free. What happens if I have excess luggage for the seaplane transfer? Your excess luggage will be transported to Gladstone Marina and be delivered to the island by launch the next day. When returning to the mainland you can send your excess luggage a day earlier. Can I book a spa treatment when I get there? Due to popularity it's best to book a treatment beforehand. The Wistari, Beachside and Reef Family rooms have sliding dividers/separators for privacy. Heron Island's wet season runs from January to March. However, Heron Island is open year-round. Is there a program for school-aged children? Heron Island Junior Ranger Program is available for kids ages 7 – 12, offered on Saturdays, Sundays and every day during school holidays (eastern states). Do I need a credit card at time of booking to guarantee my reservation? Yes, However, no charges are processed at time of booking. There is a 1% surcharge for payments by credit card. Do we need tickets to board the transfers? Yes, transfer tickets are issued near the points of embarkment. Does the resort have wheelchair-friendly accommodation? There is one room that is wheelchair accessible. If you have an electric scooter remember to bring your charger and adaptor if required. What eating options are there on Heron Island? Are vegetarian/gluten-free/vegan diets catered for? There are usually gluten free and vegetarian options on the menu. It is still advisable to let the island know of any dietary requirements well in advance so the chefs can better tailor the menu for you. Can we complete a PADI course on the island? Yes, however, those wishing to do so must bring a completed Australian standard medical with them. What are the restrictions with diving and flying? Airlines, including Qantas and Virgin Australia, do not allow passengers to board if they have scuba dived in the 24-hours prior to check-in. Are there any other dive restrictions? Certified divers with a medical condition must have an Australian-standard medical prior to arriving. Contact the Marine Centre in advance for more information. Are the Mutton Birds noisy? Mutton Birds are particularly noisy during their breeding and mating season. The mating season is usually during the months of November and December whilst January is usually the time the Mutton Birds are breeding. For guests who are very sensitive to noise, earplugs are available at reception. Will my stay be affected by Jelly Fish? Heron Island is located approximately 72 km off the coast of Gladstone and usually not affected by the Stinger Jelly Fish.